Oceanside — Drone hobbyists are officially on notice. Oceanside police recently became the first law enforcement agency in San Diego County to acquire a counter-drone, called the “Drone Killer,” to address recreational drones that may pose a safety threat and interfere with public-safety operations. Police officials provided a brief demonstration to the public during a March 28 City Council meeting in Oceanside. The device, which is shaped like a submachine gun, is approximately two-feet long and weighs roughly seven and a half pounds. The Drone Killer emits a radio frequency command that disrupts and takes control of the drone, breaking the link of command between the controller and the drone before redirecting the drone to its owner. During the demonstration, police Chief Frank McCoy said a drone had come into the air space where city fire crews were extinguishing a blaze last year. The drone forced air operations to stop due to damage or a crash the drone could cause if it came in contact with aircraft. A Drone Killer offers a solution. “It is a very useful tool for us,” McCoy said. The Drone Killer, priced at about $30,000, was donated to the police station by lXl Technology, which manufactures the device. Currently, the Federal Communications Commission has restricted sale of the defense tool to only U.S. military, government and federal agency personnel, although first responders have had access to counter-drones in the line of duty. 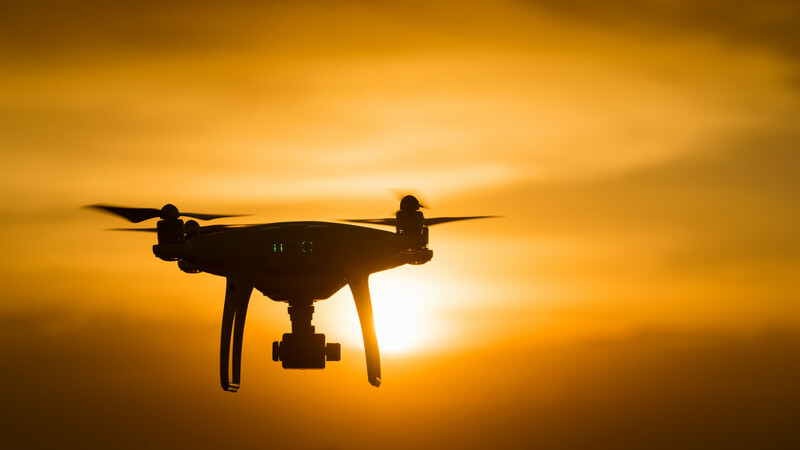 The 1934 National Firearms Act restricting the sale of counter-drones to federal agencies is being reconsidered, largely due to the growing popularity of drones, according to Andy Morabe, lXl Technology director of business development. But due to the sheer number of possible threats, the FCC is taking another look at regulations that limit counter-drone sales, Morabe said. Oceanside police said they plan to use the Drone Killer to redirect hobby drones during fire-fighting operations or major catastrophic events. Other agencies that have a need for a Drone Killer are prisons and border control. Prison and Border Patrol officers see a high amount of contraband being transported on drones. Morabe said it is routine for prisons to do a daily sweep of drone-delivered cell phones and drugs. “It’s an everyday occurrence in prisons,” Morabe said. Morabe added Border Patrol agents can only watch as drones carrying drug deliveries fly overhead. The rough terrain makes it extremely difficult to follow the drones’ hummingbird-like flight pattern, making it nearly impossible to shoot them from the sky. Each counter-drone has a range of nearly a half mile and is equipped with a radio frequency that does not interfere with cell phones, radios, satellites or other communications. The technology comes from the development and sales of Drone Killers to the U.S. military to combat drones delivering bombs, grenades and improvised explosive devices in war. “The need arose in the war zone of Iraq and Afghanistan,” Morabe said. Morabe said the threat of drones carrying explosives or chemical agents has the potential to impact civilian life when drones enter areas where crowds gather. Morabe said he expects Homeland Security, customs, Border Patrol and ICE to have Drone Killers as standard equipment by the end of the year, and police, firefighters and prisons to have the OK to purchase them by the following year.